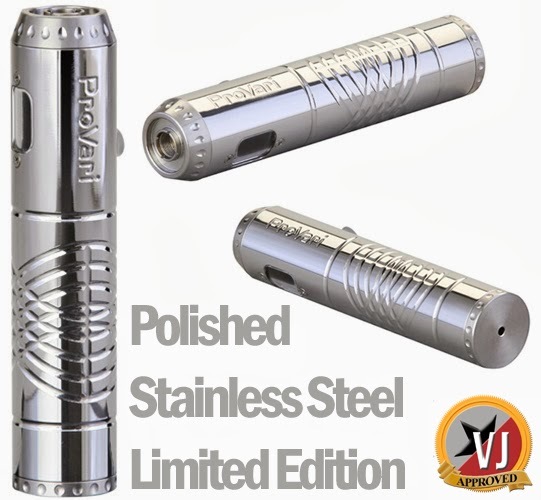 Provari has released a 2nd round of their polished stainless steel edition of the Provari 2.5. These are expected to be highly prized due to the “shiny” factor. These will be a very limited edition run. This will be the last run before Christmas. Last run sold out the same day. If you’re looking for the highest quality and best looking electronic cigarette, the ProVari is the right choice! • Polished Stainless Steel ProVari variable voltage electronic vaporizer.